How do I descale my Tassimo coffee maker? How often do you need to clean tassimo? Do I really need to descale my Tassimo machine? How long does it take to clean tassimo? Descaling your Bosch Tassimo coffee machine with Tassimo descaling tablets. What can I use to clean my Tassimo? 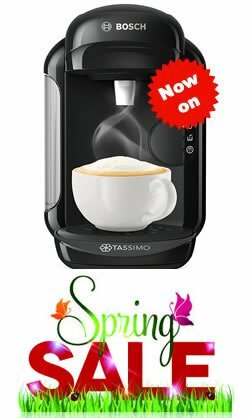 How do I use Tassimo descaling tablets? Pod coffee machines are probably the easiest coffee machines to clean and the Bosch Tassimo coffee machines are no exception to this rule. However the good news is that they are incredibly easy to clean. Your Bosch Tassimo pod coffee machine will need regular flushing through with water to clean out the internal pipes and regular descaling with Bosch Tassimo descaling tablets to ensure that the taste of each and every drink you make is perfect. 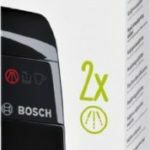 Lets take a look at the simple steps in more detail, after all, you only need water and Bosch Tassimo descaling tablets. If you have come here to find out the answer to the question, ‘how do I descale my Tassimo coffee maker?’ you will be pleased to know that the answer is very simple. Follow the instructions below and your coffee machine will be descaled and as good as new in no time. Every 7 days, insert the reusable Service T DISC and press the button. If you cannot find it, the one supplied with the machine is stored in the side or rear of the unit. This will cycle through the water, which will clean out the internal pipes keeping everything nice and fresh. Clean the barcode reader regularly with a damp cloth. Regularly wash all of the removable parts by hand or pop them in the dishwasher except for the water tank which needs to be washed by hand. If you are using milk and chocolate tassimo pods, it is a good idea to clean your machine at least once per week otherwise you can spoil the taste of some of your tea and espresso drinks. It really could not be much simpler, just insert the service disc and run the cleaning cycle and you are done. We would recommend using descaling tablets once a month to keep both your drinks tasting good and your machine in tip top order. If you are unsure of any of the above, take a look at the video below. It really is easy with a Bosch Tassimo coffee machine. All coffee machines will build up lime scale over time, which if left, will damage your Tassimo machine. Descaling regularly (depending on hardness of water) is required to prolong the life of your machine and importantly ensuring your drinks taste great every time! You should aim to descale your machine every three months (max) but as mentioned above, it will depend on your water hardness, if you have hard water you will need to do this more often. The great thing about your Tassimo machine is that it likes you and wants you to clean it so it tells you when it needs descaling when the red descale light comes on, so no guess work required on your part. Helpful! It literally takes 20 seconds to run the cleaning cycle to flush the tubes and perform the basic clean, so there is no reason why you would not do this at least once a week! Find best priceDescaling tablets make it very easy to clean your machine, all you need is a couple of Tassimo descaling tablets and your Service T DISC for this process. Warning – DO NOT and I repeat, DO NOT use vinegar to clean your machine, as it will invalidate your warranty. Only use Bosch Tassimo descaling tablets. They are cheap to buy (you can check out prices on Amazon) and work an absolute treat. Another question we get asked is ‘How do I use Tassimo descaling tablets?’, again, the answer is nice nd simple. Follow our step by step instructions below and you will be done in no time. Fill the water tank with clean water and put two of your descaling tablets in the water. Insert the reusable Service T DISC. Place an empty 500 ml cup or jug on the drip tray. Push the start button for 5 seconds to start the descaling process. Once complete (about 30 minutes), rinse and refill the water tank. Hold down the coffee button to start the rinse cycle and do this 3 times. Remove the reusable Service T DISC and you are all done. If you are unsure on How to Descale your Tassimo, have a look at the video which will show you each step, and how easy it is to descale your Bosch Tassimo coffee machine with Tassimo descaling tablets.